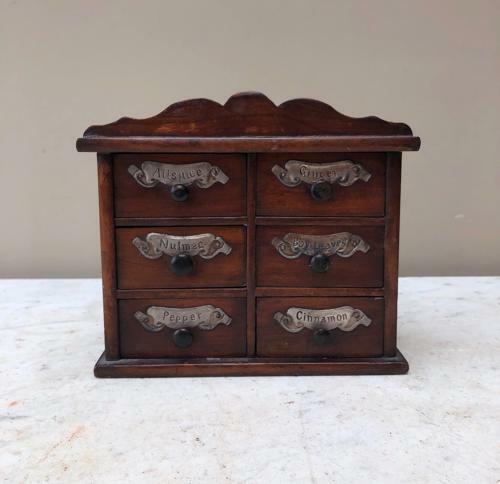 Superb Victorian Treen Spice Chest with Original Labels. Victorian Treen Spice Chest of Drawers. Wonderful colour and condition. All its original labels, Allpsice, Ginger, Nutmeg, Bay-Leaves, Pepper & Cinnamon.